It's week four of Motivational Monday and as usual I'm here to throw some motivational quotes at you to put you in a good mood. So this week I'm going to speak about my life as a student and as a female and I know a lot of you who read my blog are also females and students too so this is perfect for you as well. 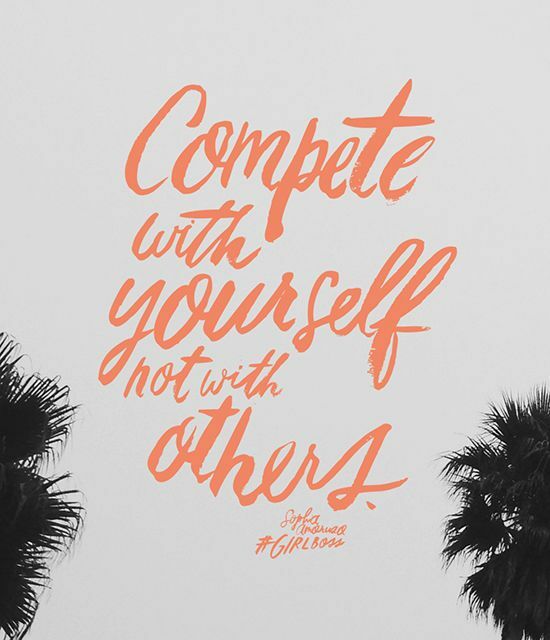 I recently found this picture over on Instagram and it made me think about life in general and how everyone is always trying to compete with others and be better than everyone else instead of actually competing with themselves. I'm personally always trying to be a better version of myself. I'll do things better the second time if the first time wasn't that great. Or I'll work harder every time I do something. So as a student, I think this really helps and this definitely motivated me when it came to going back to University last week and knowing I had to receive my results. I feel as a student when you're working in a group you're always trying to better yourself, but at the same time you're also trying to compete against others. Of course you want to get the best possible mark ever, but then if you don't; this may dishearten you a little bit. Last week I received my essay results; an essay which is wrote by myself, without anyone's help. I submitted my essay before Christmas instead of submitting on the 4th January because I wanted to spend Christmas and January not having to worry about two essay's which needed writing up by a certain date. Therefore, I gave myself a deadline to have them in by. I tried my best and I knew I had so I was happy about this. This time round I also didn't want to share 10% of my essay with my lecturers because usually they tell you to take something out and when it comes to receiving the feedback, they moan because that something isn't included in your essay. It's completely pointless. Knowing I hadn't shown my essays to my tutors, I was very worried when it came to receiving my results and I did feel fairly nervous. When I received them I felt normal. I weren't happy, and I weren't sad. I just didn't care to be honest. But when I actually looked at the marks I got for each essay against the marks I got in my first year, I was genuinely happy. I felt like I was actually making progress and in fact, I got a better mark for both essays without showing them my essay, compared to last year when I did show them my essays before submission. So from this very moment I'm going to compete with myself, not others. I'm going to try harder every time I write up an essay or do a presentation, because I want to achieve better than what I did beforehand. This leads me on to loving yourself. You can take this in so many different ways, I know. You can love yourself physically or even mentally but I'm here writing about how you love yourself physically and this is something I really struggle with. However, I do agree with this quote. 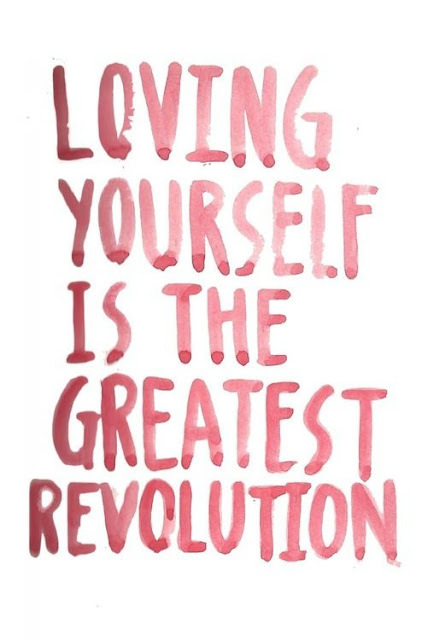 I do agree that loving yourself is the greatest revolution and the day I actually love myself, I'm going to be the happiest girl in the planet. If you have any tips on learning to love your physical body, please let me know because I'm really struggling here.